Throw all the asparagus in a large ziploc bag. If you don't have a bag, use a large bowl. 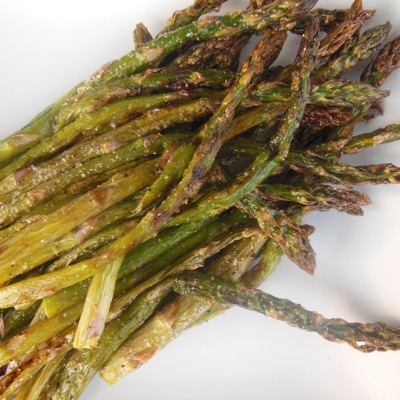 Pour 1 TBSP of oil for every 1/2lb of asparagus. Season with salt and pepper to taste. Coat well. Set parchment on a baking sheet. Place asparagus on it and bake for 15 minutes.